Here’s the last flavor I have to review! 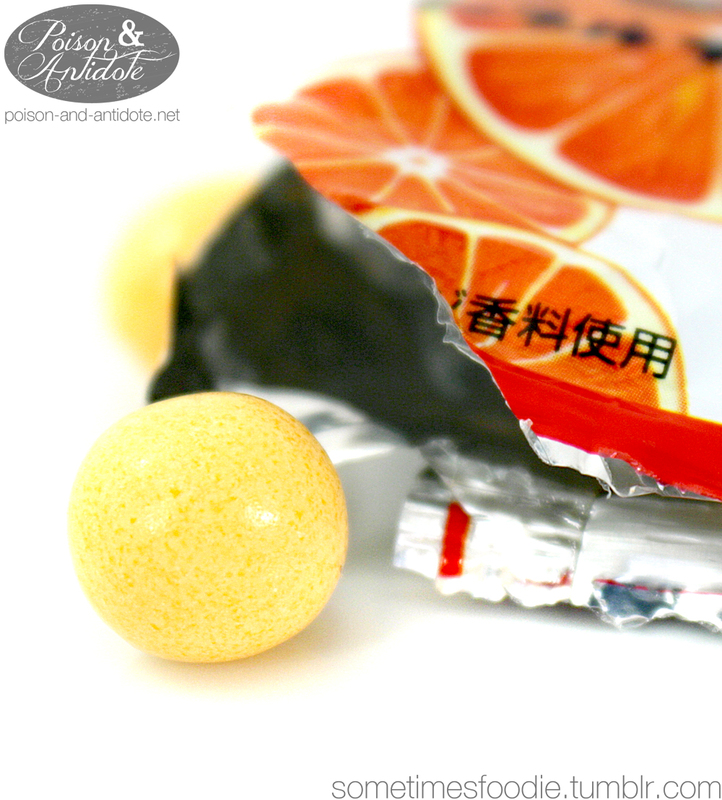 Citrus flavored gum seems to be rare here in America, and I haven’t had the best luck with it. (I absolutely hated the Dessert Delights Orange Creme Pop.) So far all of Marukawa’s flavors have been really impressive, they just don’t last, but I can’t imagine that this would taste bad. 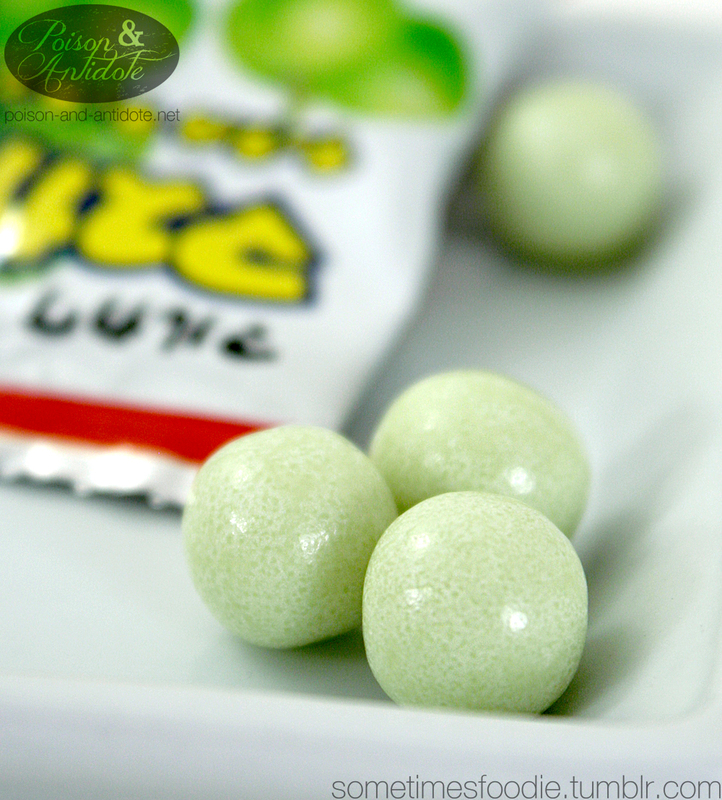 The unique, speckled, outside of each gumball actually lends itself quite nicely to this specific flavor. 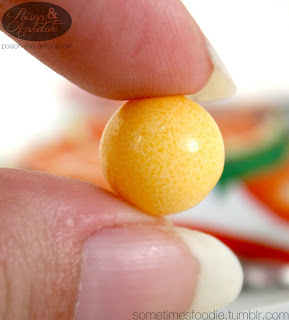 The little spheres actually look like tiny little oranges. Right away you have a very authentic, fruity, orange flavor. 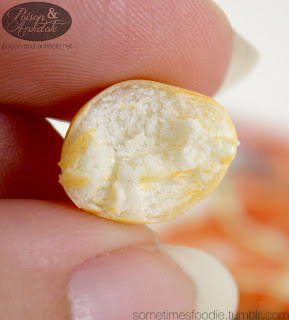 There is a little bitterness at first, almost like the essential oils and white pith of the fruit, but it all comes together to create a juicy realistic orange. Also, it might just be me, but this flavor seems to last a tiny bit longer than the others. Out of all the fruity flavors, I think this one might have been the strongest. 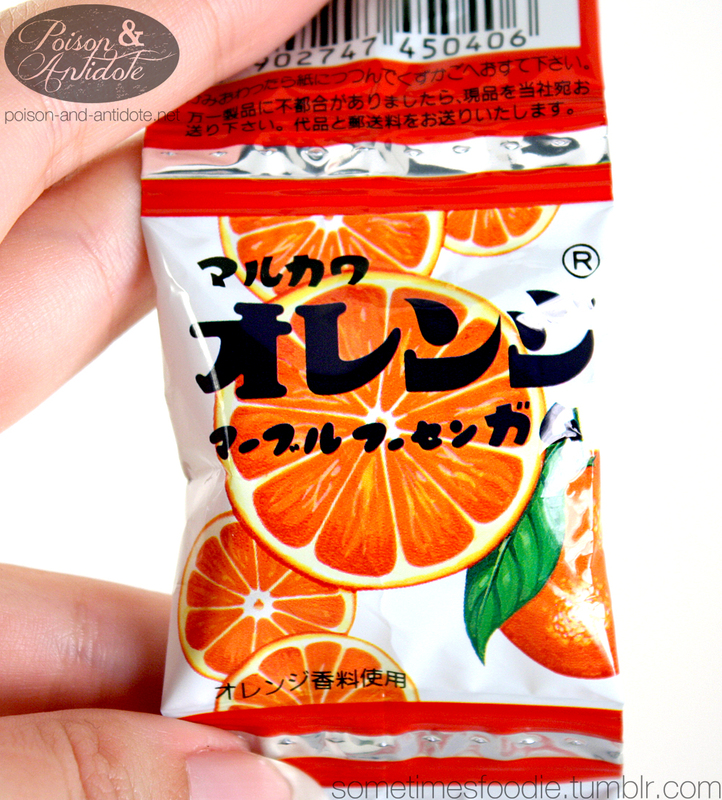 It left an orange oil taste in my mouth for a few minutes after chewing, something none of the other flavors did.